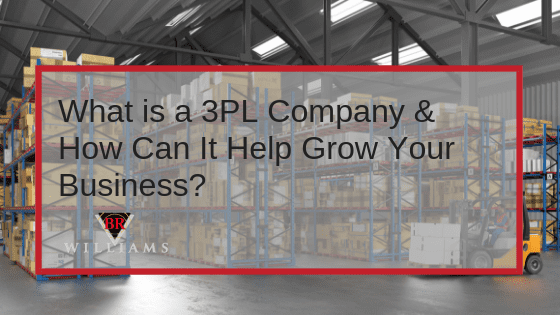 A major component of some business’ success and survival is supplying exceptional distribution services to consumers or other businesses through third-party (3PL) logistics companies. The opinion of a certain product or business can be greatly influenced by all players within a supply chain, including the third-party logistics company. This has created competition within the logistics, trucking and warehousing industry to offer solutions that are extremely effective, well-managed, and customized to the client’s requirements. To manage complex tasks within the supply chain, logistic companies have implemented internal systems called Warehouse Management Systems (WMS). These highly configurable and functional systems allow companies to take control of their product and manage every aspect of storage, shipment and distribution. What Can a WMS Do? When looking for a Warehousing and Logistics Company to trust with your product, there are certain features that should be provided through the logistic companies’ chosen WMS system. To provide accessibility and control of your product the WMS system should be accessible through standard web browsers. Employees and customers should have immediate access to critical information such as: receipt information, new orders, inventory levels, reports, and distribution activities. An advanced WMS system is necessary, but it is becoming increasingly more important to receive information in real-time. Through integrated hardware and software programs, products can be integrated to enable real-time inventory processing. A modern 3PL logistic company can take your bulk goods and package them for your end customer thus saving you space and the hassles of running a packaging department. This is especially useful if you sell the same product to different customers under their private label brand. The product can be stored in bulk and then only the amount needed to fill your customer’s demand is packaged. Based on customer requirements, BR Williams has been providing kitting functions by creating work orders that direct warehouse associates to combine several items to form a new item… or convert an item into a new item. “De-kitting” can also process returned kitted merchandise and place salvageable kit components back into inventory. A strong WMS system will support a variety of stock rotation requirements, including FIFO, LIFO, lot number, receipt date, manufacture date, expiration date, and support for serial number tracking. Orders can identify specific serial numbers of items to be picked, or can perform serial number capture during the outbound process. Download our free eBook How to Win at Logistics for a complete guide on Logistics, including an in-depth look at the use and importance of a Warehouse Management System (WMS). It’s important that the inventory system log all activity related to inventory inbound, outbound, internal warehouse movement, and even inter-warehouse transfers. This provides a complete audit trail of activity affecting your inventory. While standard reports are crucial and used throughout the entire supply chain process, your WMS should allow for customized reports to be saved and used, as well as sorted, stored and distributed electronically. Shipping documents should also be customized based on consumer needs and available electronically. For your customers that require compliance labeling the 3PL should have the ability to create and manage this process so you don’t have to worry about software and systems to meet those customer requirements. 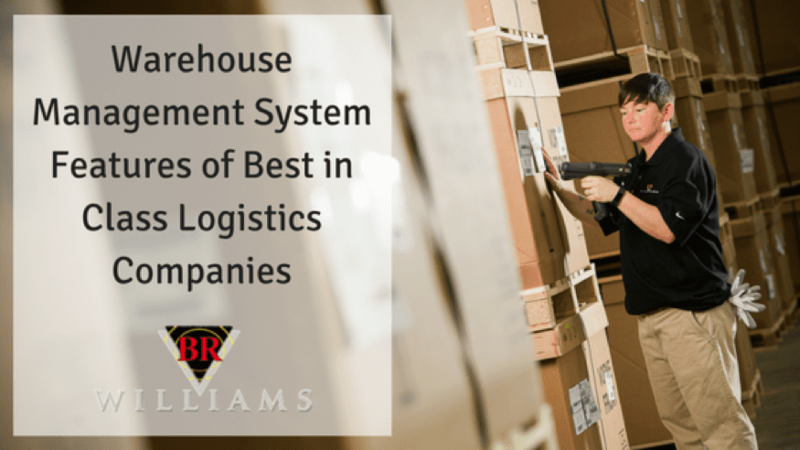 These features are just a few of the basic warehouse management system requirements that a logistics company should provide to their clientele though a WMS. Product/shipment updates throughout the supply chain process. 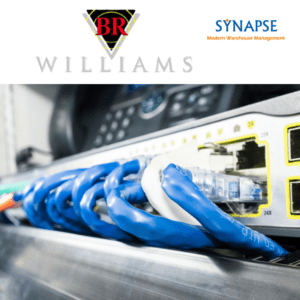 BR Williams (an Alabama-based trucking, warehousing, and logistics company) proudly uses the Synapse WMS system. The Synapse system offers these capabilities to customers, including many more, to ensure that each client’s unique supply chain process runs seamlessly. Understanding why logistics companies invest in best in class WMS systems to power your supply chain needs, is important because if you don’t have a strong need to outsource distribution services TODAY…you may after only one strong year of new sales. 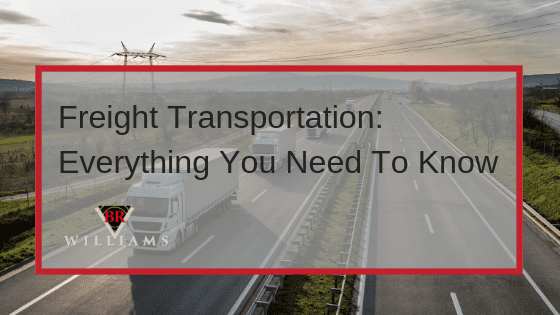 Be sure, when choosing a warehousing, trucking, and logistics solutions company to find one that will suit your needs, big or small, and will allow the opportunity for your business to grow or expand. Contact BR Williams to find out how a WMS can benefit your business.